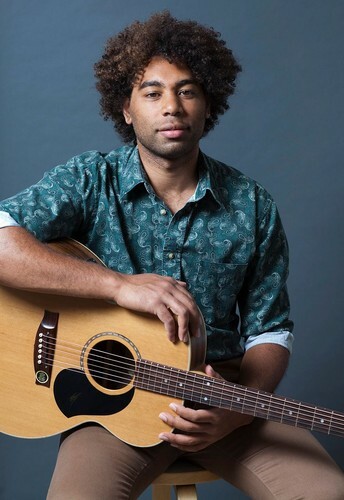 The soulful sounds of Marcus Corowa are set to fill The Front Gallery and Café for one special performance. Promising a night of original material and classic covers, Corowa combines elements of blues, jazz and funk to create a soulful, soothing sound that is distinctly his own. Marcus has turned heads with his catchy melodies, heartfelt lyrics and silky smooth singing voice, drawing inspiration from his Aboriginal and South Sea Islander roots. Awarded the 2012 Deadly Award for Most Promising New Talent in Music, he has also been a finalist in the 2010 QMUSIC Song Awards Finalist Indigenous Category; 2011 APRA Professional Development Awards Finalist Indigenous Category; and received a Highly Commended in the 2010 QMUSIC Song Awards Highly Commended Indigenous and Gospel categories. A life-long Queenslander Marcus made the bold and spontaneous move to Sydney , in 2011 and has since notched up scores of performances, including: Sydney’s South Sea Islander Recognition Day; The Sydney Festival; Yabun Festival; Adelaide Fringe Festival; Bundaberg’s South Sea Islander Conference; Deadly Vibe; Guringai Music Festival; and countless NAIDOC celebrations around Australia. Marcus has also supported the likes of Marcia Hines, Christine Anu, Jessica Mauboy, Mark Seymour, Casey Donovan, Whitehouse and The Medics. This is your chance to hear one of Australia’s most promising musical talents. Don’t miss this special night with Marcus Corowa.